Pearson Language Tests is a unit of the Pearson PLC group, dedicated to assessing and validating the English language usage of non-native English speakers. The tests include PTE Academic, PTE General (formerly known as London Tests of English), and PTE Young Learners. These are scenario-based exams, accredited by the QCA, Ofqual, and administered in association with Edexcel, the world’s largest examining body. WHO IS ELIGIBLE TO WRITE PTE? Pearson- the PTEconducting body does not prescribe any specific PTE eligibility criteria. However, according to the PTE Academic eligibility criteria, applicants need to be at least 18 years of age at the time of appearing in the examination. Students who are below 18 years of age will have to produce an evidence of parental consent to take the English proficiency test. Since the eligibility criterion of PTE Academic is not specified, aspirants planning to take the test must also check the eligibility criteria of the institutes they wish to apply. 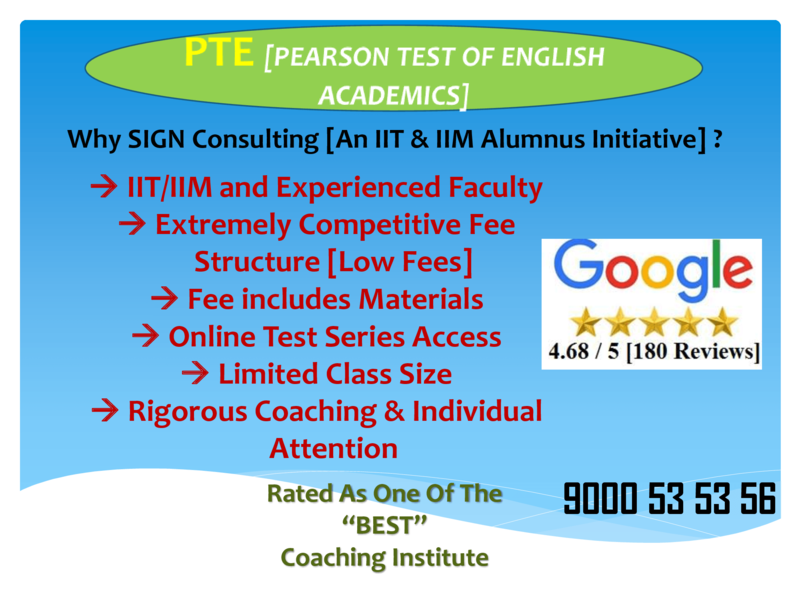 WHAT IS PTE Exam Fee? WHAT SKILLS ARE TESTED IN PTE ACADEMICS? PTE Academic consists of a single 3-hour test session which includes three sections: speaking and writing (together), listening and reading. There are twenty different question formats, ranging from multiple choices through to essay writing and interpreting information. WHAT SKILLS ARE TESTED IN PTE GENERAL? PTE General are theme-based exams designed to test how well a learner can communicate in authentic and realistic situations, and not on how well they remember formal vocabulary and structures. For this reason, the tests use real-life scenarios rather than pedantic grammatical exercises. They test the four skills: Reading, Writing, Listening and Speaking. There are six levels which are mapped to the Common European Framework of Reference for Languages. PTE General is accepted around the world by universities, ministries of education and employers as proof of English language proficiency. The below is a list of countries where PTE General is accepted by government bodies. NOTE: The PTE General test is not recognised for immigration purposes. WHAT SKILLS ARE TESTED IN PTE YOUNG LEARNER TEST? PTE Young Learners is a fun English language assessment for students aged six to 13, delivered by Edexcel; the UK’s largest examining body. It tests a young learner’s ability to use structures and functions in realistic contexts and, later on in the series, tests their ability to use language to carry out specific communicative tasks, with an emphasis on real-life scenarios rather than on knowledge of specific language items and vocabulary. NOTE: The PTE Younger learner test is not recognised for immigration purposes.